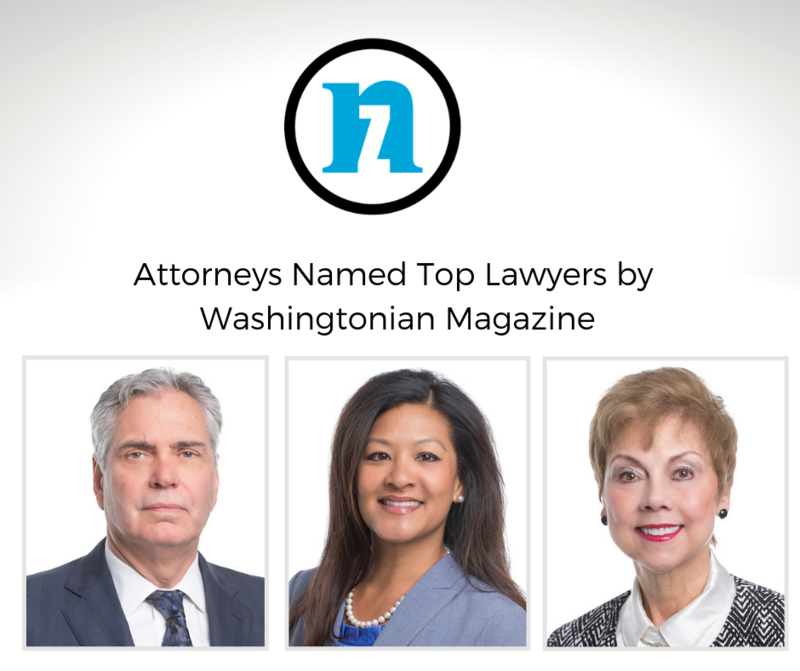 Washingtonian magazine named Cassandra Chin, Charles J. Zauzig and Betty Moore Sandler as Top Lawyers in its annual listing published last month. Top lawyers in Northern Virginia, suburban Maryland and D.C. were recommended by their peers in 20 practice areas, including family law and personal injury law. Cassandra Chin is a divorce and family law attorney and has been with the firm since 2001. This is her first appearance on the Washingtonian Top Lawyers list. She is the National Membership Chair of the American Academy of Matrimonial Lawyers and a member of the organization’s National Executive Board. Ms. Chin is a Super Lawyer® and a former Rising Star. Charles J. Zauzig, III is a specialist and national lecturer in the field of medical malpractice/personal injury. He has been named a Washingtonian Top Lawyer since 2007. Mr. Zauzig was named Best Lawyers® Personal Injury Litigation-Plaintiff Attorney of the Year in 2019 and 2014 and Best Lawyers® Medical Malpractice-Plaintiff Attorney of the Year in 2018, 2016 and 2011. He is a Fellow with the American College of Trial Lawyers. Betty Moore Sandler has practiced family law for more than 30 years and appeared on this list since 2002. She is a Fellow with both the International Academy of Family Lawyers and the American Academy of Matrimonial Lawyers. She was named by Virginia Lawyers Weekly as among its 2019 “Influential Women of Law” and, in 2017, was named as a “Top 50 Women Attorney” by Super Lawyers®. In 2015, the Virginia State Bar, Family Law Section honored Ms. Sandler with its Lifetime Achievement Award. To be recognized on the Washingtonian Top Lawyers list, attorneys are nominated by their peers in Northern Virginia and the entire Washington-D.C. area. Nominees are then vetted by the magazine’s editorial staff, including researching notable recent cases and interviewing local legal leaders. This year the list includes attorneys in 20 practice areas, from an estimated 80,000+ lawyers in Northern Virginia, suburban Maryland and the District of Columbia.